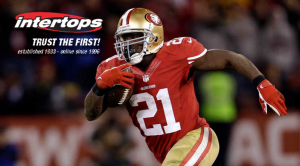 The world’s first online sportsbook, Intertops Sportsbook, is offering American football fans who bet on the Super Bowl a free $200 bet as well as a $100 deposit bonus. Intertops is offering punters a free bet worth $200 for betting on this year’s Super Bowl. At present Intertops’ favourite for the game’s MVP is San Francisco 49ers quarterback Colin Kaepernick (+135). The sports manager said that “it’s not just Kaepernick’s fairytale rise to fame and his duel with the Ravens’ Joe Flacco that makes this game so exciting. Intertops offer bets on field goals, halftime scores, kicking and punts, penalties, turnovers and timeouts, touchdowns and much more. To help players place some bets the bookies are giving a 20% (up to $100) bonus on one deposit made between now and the Super Bowl. It’s sure to be a great game so why not take advantage of these great promotions and place your bets today.